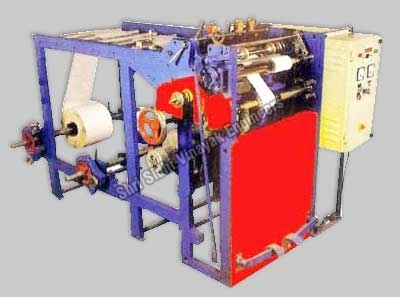 We offer a wide range of Roll Making Machine which is used in various applications in paper and printing industry. Our roll making machines are used for rolling the ATM roll thermal paper, fax roll, PCO roll, ECG roll etc. at amazingly quick pace with seamless precision. Our Toilet Roll Making Machine is also highly appreciated for its latest technology and effectual performance. In addition to these, our roll making machines are operation friendly and thus are quite easy to handle. Besides, we also offer customized machines as per the requirement of the client. Considering all these qualities there is no wonder that we are the topmost Spring Roll Making Machine Manufacturers in the country. Rewind Roll Dia Upto 150 mm on 1/2", 3/4",1"